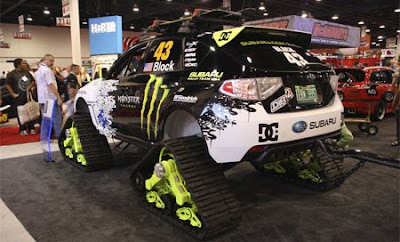 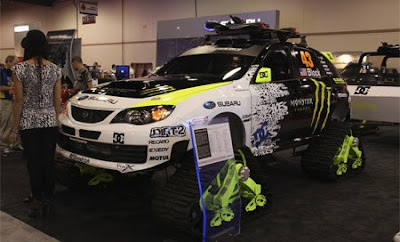 TRAX STI is a cool modified Subaru WRX STI car that can drive on the snow. 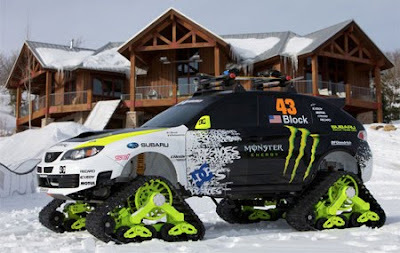 The original tires were thrown out, snow cat tracks added and upgraded suspension to create the ultimate snow-ready car. 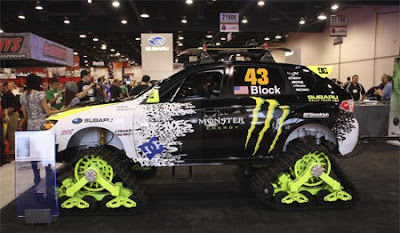 American rally driver Ken Block has teamed up with Subaru to create the world’s fastest cat track operation automobile.